UPFA MP Thilanga Sumathipala says that two special Gazettes have been published appointing Mahinda Rajapaksa as Prime Minister and removing Ranil Wickremesinghe from the Premiership. Both Extraordinary Gazettes have been published by the Secretary to the President Udaya R. Seneviratne on Friday (26). The government notification states that the President in the exercise of powers conferred upon him under the Constitution of the Democratic Socialist Republic of Sri Lanka, has removed Ranil Wickremasinghe, who was appointed by the President under Article 42(4) of the Constitution of the Democratic Socialist Republic of Sri Lanka from the office of the Prime Minister of the Democratic Socialist Republic of Sri Lanka, with immediate effect. 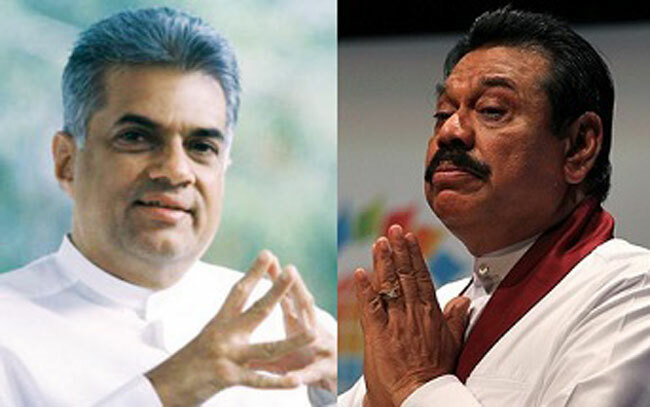 Meanwhile the Gazette on appointments states that the President under Article 42(4) of the Constitution of the Democratic Socialist Republic of Sri Lanka, appointed Mahinda Rajapaksa, Member of Parliament, to the Office of Prime Minister of the Democratic Socialist Republic of Sri Lanka, with effect from October 26, 2018. Rajapaksa was appointed as the Prime Minister and was sworn in before President Maithripala Sirisena on Friday (26) at the Presidential Secretariat. Ranil Wickremesinghe, who was away touring the south of the country, was removed from the Premiership by President Sirisena following months of infighting and was informed of the decision via letter. But Wickremesinghe later told reporters he remained the prime minister. “I have the majority and I remain as the prime minister and I will function as the prime minister,” he said.